ROMANCE BOOK PARADISE: Meet Historical Romance Author Anne Herries...er...Linda Sole? 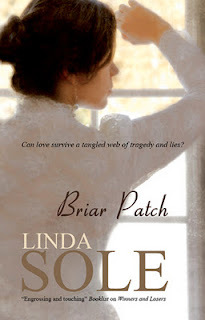 Meet Historical Romance Author Anne Herries...er...Linda Sole? We have Historical Romance author Linda Sole writing as Anne Herries here! But before we give over to her...a reminder! My Blog's sidebars on both sides have links to follow KATE WALKER and CHRISTINA HOLLIS blog tours for MEGA GIVEAWAYS! Follow and Comment for giveaways and to go in the Grand Prize Draw! Hi everyone and thank you for the opportunity to visit Romance Book Paradise today!. My name is Linda Sole and I write under my own name, also as Anne Herries, Anne Ireland and Lynn Granville. I’ve used other pseudonyms in the past but these are the current ones. As Linda Sole I write mostly sagas. Lovers and Sinners was my most successful single book and my first in mainstream. I started out as Lynn Granville for Robert Hale and wrote four romances before moving on to Mills and Boon as Anne Herries. 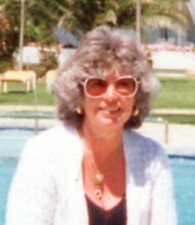 The Linda Sole books came later. I am hoping to have Lovers & Sinners done as an ebook so that it becomes accessible for readers again. In all I’ve written well over one hundred books, mostly either sagas or romances, but also one or two mysteries. I’ve had more than fifty published with HMB, probably creeping up to sixty with the latest contracts. These books are published in many countries and I consider myself very fortunate to have had such a wonderful and successful career. I think my best selling book for HMB so far is Captive of the Harem, which was a big hit in Japan and has now been reprinted several times. It is even in a Chinese comic book format now, which I bought a copy of and loved – great fun. As I now have Bought For the Harem out I am hoping that this new book will be as successful. It is available in paperback and ebook so I’m enjoying watching the figures. However, the books are translated in many countries and that is always exciting, to see the different versions of the same book. For Severn House the Rose trilogy did very well, as did The Bonds That Break. My new book Briar Patch by Linda Sole is out with Severn House later this month. As this is in hardback and expensive I advise people to order from their library. The libraries will normally get readers a copy and it is too much to expect readers to buy these. I often give paperback and ebooks away to fans, but the hardbacks occasionally get given away if I do a competition. I usually run these through my blogs, groups or now on twitter. I’m on twitter as @Anneherries. Still thinking about facebook. On a personal note, I am happily married and I love gardens, my home, holidays in Spain, nice shoes, eating out and watching the squirrels and birds in my garden. I write because I need to and to give my readers pleasure and I love to hear from you through my website. Many people tell me how much they enjoy my books. I read some unfavourable reviews on amazon and know that not everyone appreciates my work, but no one can please everyone. However, I work hard to please and it is always nice when someone tells me how much enjoyment a book gave them. Your comments are appreciated and it’s good to hear from true lovers of romantic fiction. I’ve been asked for advice about writing in the past. I know many of you long to be writers but there is no special format that anyone can tell you. I learned by experience and was turned down several times before my first book was accepted. If I read some of the stuff I did then now I would be horrified but I didn’t know what was wrong then. The best thing a hopeful writer can do is to find a professional source and ask for advice. The RNA runs a new writers scheme each year, which is wonderful for new authors. I believe there are other schemes about – and people who will read a manuscript and give you advice. The main thing is not to give up. Just keep trying and listen to what the editors say when they turn down a book. If you heed their advice you may do better the next time. Good luck to all aspiring writers. There is so much more opportunity now with the ebook revolution. Contact me via my website for free copies of books! To read more from Linda, visit Romance Reader! Wow. You have so many books published. Thanks for the advice to us writers. Amazing. Over a hundred books? Dunno if I've recovered from that factoid! You must put in so much time writing. I'm kinda green with envy here. Well done! A Chinese comic book sounds like fun. Congratulations. All your hard work is obviously paying off! Good advice! And 100 books? That is an amazing accomplishment. Nice to meet you! I'll never write 100 books. I'll be lucky to write 10! Er . . make that 5. Hats off to you. Hi Anne! Great to see you here! :) Wow, 100 books? Like the others here, I'm in awe! So impressive! It's always nice to read about the success of other authors. Romance is a popular genre, but that doesn't mean its easy to write. I think it takes a special person to do romance justice. I dabble in it as a sub plot to my fantasies. Hoping all the best for you. Wow, 100 books. Soo exciting to see an author writing in my time/era! I was glad to learn about how you use pseudonyms for your different books, Anne. And to learn that your backlist is 100 titles is highly inspiring. wow, I can see now why you use so many names. Impressive. For such a bookworm as myself, all extra information about books is valuable. Thank you very much! Over 100 books? Wow - that's wonderful! And I like her attitude about not being able to please everyone. With that many books published, she's obviously pleasing a lot of people! Hi everyone. I am so happy to see all these comments. Thank you for taking an interest. To the reader who asked if there were arguments, the answer is yes, but it usually the publisher who demands who gets served first. Over 100 books yes, but I've been writing for a long time. However, I do write quickly these days. Wasn't like that at the start. Hello to all my lovely friends! Thank you all for coming along and commenting. Hi, Linda! Thank you for coming along to chat with my friends! I liked hearing about the pseudonyms, and am duly impressed by your body of work. Inspiring. Wow! She is such a prolific writer! That's amazing!! Hi MPax, Ju and Peggy! A comic book? I love it! I'd never considered romance in that form before, but I can see how it could work incredibly well. I'd love to see that in English! Thanks again for all the comments. Yes, I love the comic book idea too. the chinese one is delightful and I know it was done in Japan and Taiwan too. Would be nice here - the drawings were so expressive no words needed.